Borderlands: Game of the Year Edition will launch on April 3, free to existing owners on PC. While we could always push the game to absurd resolutions on PC, the new update will bring improved lighting, textures, and character models – though it sounds like HDR added for the console versions won’t be available on PC. Beyond that – and the inclusion of all the DLC – there are plenty of quality of life improvements. You’ll have a bunch of new cosmetic heads and skins at the start of the game to customise your character. There’ll be a Borderlands 2-style minimap which you can toggle on and off, as well as inventory improvements that’ll let you either lock weapons or mark them as junk. Smaller items, like ammo, money, and health, will now automatically be collected when you walk over them. You can see more in the trailer above. Of course, the biggest news today was for the new game – and that Borderlands 3 trailer is looking sweet. 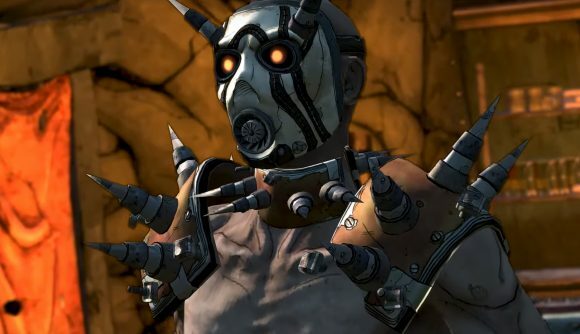 We don’t yet have a Borderlands 3 release date, but Gearbox says we should expect more info on April 3 – right alongside the launch of this GOTY edition and the ultra HD pack for the Handsome Collection.